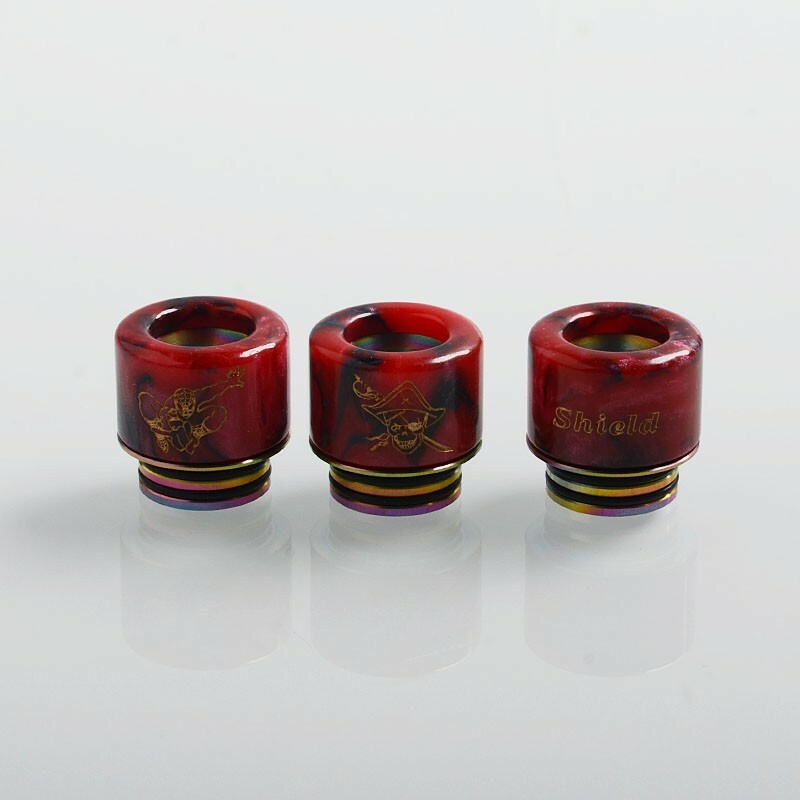 The replacement 810 drip tip is made from resin with 11mm height. It is suitable for TFV8 Tank, TFV8 Big Baby Tank, TFV12 Tank, Goon RDA, Goon RTA, Lost Art Goon RDA, Goon LP RDA, Kennedy 24 / 25 RDA, Battle RDA, Kryten RDA, Mad Dog RDA, Mask RDA, CSMNT Cosmonaut RDA, Unholy RDA, Apocalypse GEN 2 RDA, Reload RDA, Mini Battle RDA, Avid Lyfe Captain Cap II, Sith RDA. 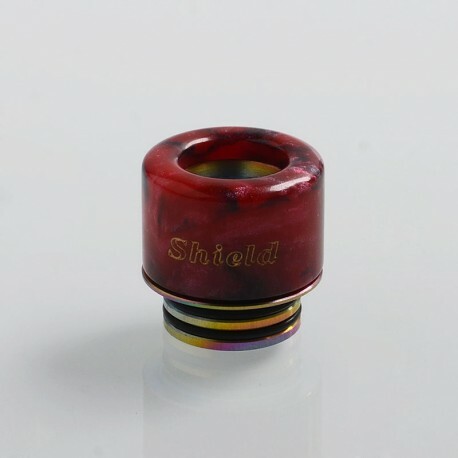 The drip tip height is adjustable from 16.5mm~21mm. 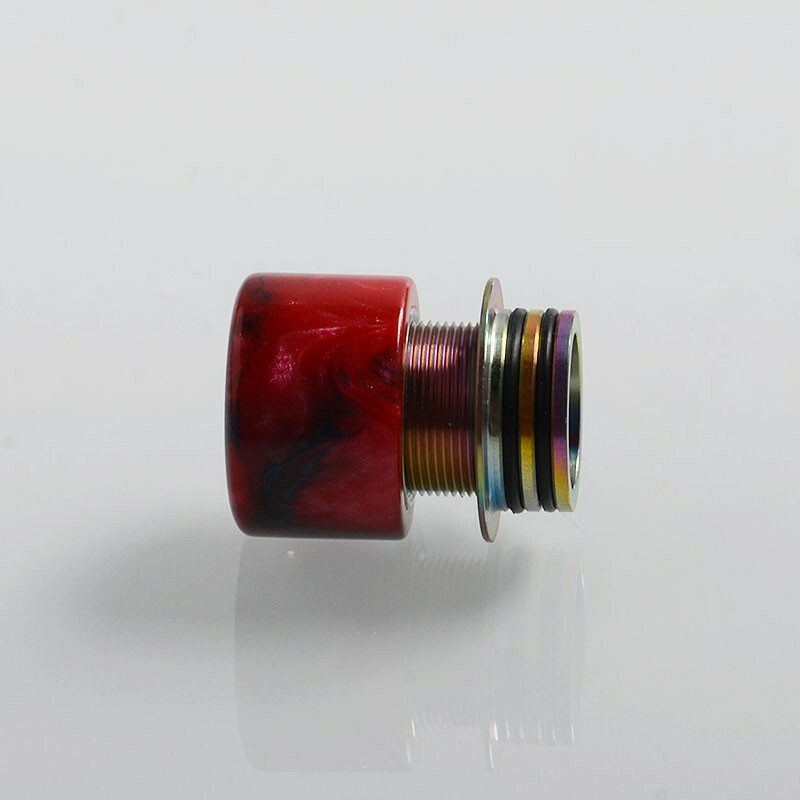 This drip tip will be shipped with random pattern / logo on it (1 piece). 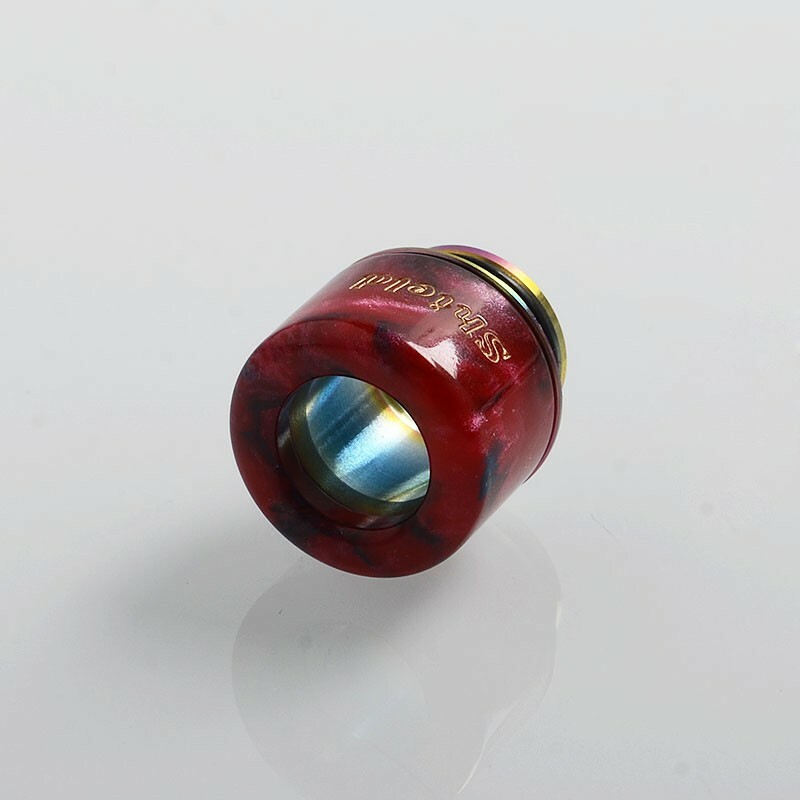 More options than what's on the image.